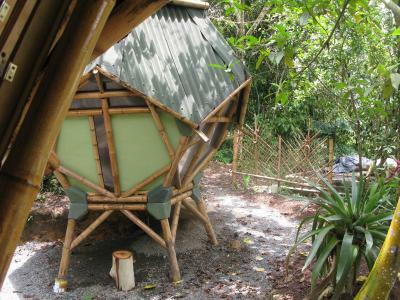 Lock in a great price for EcoLodge Kasaguadua – rated 9.7 by recent guests! Although this place was one of the most amazing properties we've ever stayed at, the true highlight was the host Carlos. His passion project is nothing short of inspiring, and what he has managed to create in the middle of the forest is really remarkable. If you want to be in the town of Salento, this place is not for you, but if you want to experience something truly unique with a stellar host, then don't miss out on this opportunity. This property is absolutely stunning, and the preserve that has been created here is one of the most awe inspiring endeavors I’ve ever seen. Carlos and William are extremely knowledgeable, friendly, and all around delightful to spend time with. I hope I am lucky enough to return some day to see this project as it grows. Just about everything. This place is truly magical. So beautifully constructed and maintained. 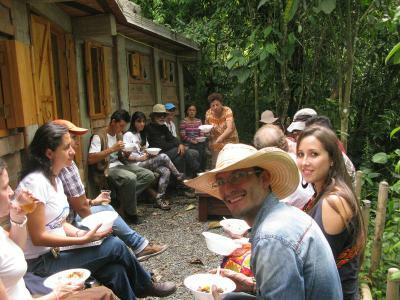 Carlos is a fantastic host who makes incredible breakfasts and leads informative tours on his property and the land. Coming out of this experience, I am truly a more conscious being, by understanding how simple and joyous life can be in nature. We really enjoyed every aspect of Kasaguadua, from the kind hospitality of Carlos, to the cozy eco-pod room, to the thoughtfully designed lodge, to the beautiful remote location in the jungle! 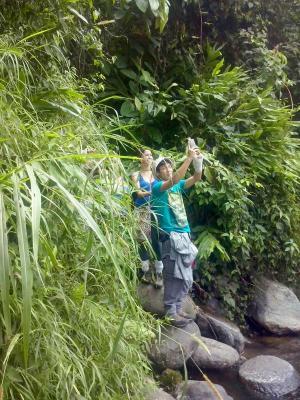 Do expect a short hike on a narrow path upon arrival, and to use very “natural” soap and shampoo! I chose to stay here over my birthday and it was truly the perfect location to welcome a new year. The owner, Carlos, showed us around the property and told us all about the ecosystem and what they are doing to help protect it. He was a fountain of information and extremely helpful while we were there. It is literally a hike to get to but totally worth it! Carlos was helpful, thoughtful, and kind. You’ll have a great stay if you are up for a little adventure! 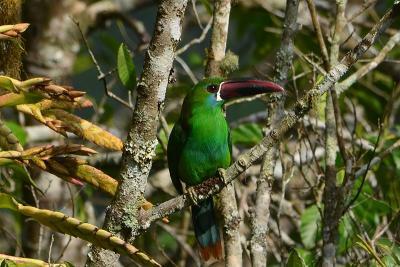 Great natural reserve, at a walkable distance to Salento center. Different spot from the usual hostels in the area. Recommended for those who does not like to stay in crowded areas and enjoy nature. 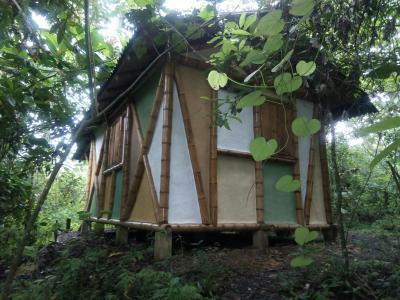 Kasaguadua is a beautiful project in the jungle. We had a great experience staying there for two nights. The pods are awesome, well designed and built. Carlos and Nick are wonderful beings. Kind and hospitable hosts. Go and connect with nature and be inspired. I would love to come back again and see how this beautiful project blooms. Don't forget to do the nature walk tour! 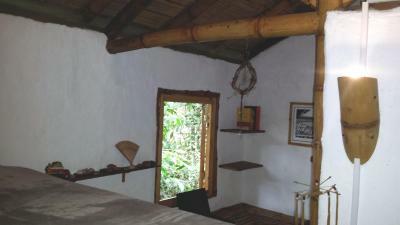 EcoLodge Kasaguadua provides a terrace, as well as accommodations with a kitchen in Salento. Free WiFi is provided. A patio with mountain views is offered in all units. 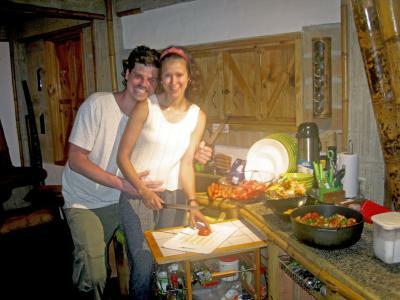 Guests at the lodge can enjoy a vegetarian breakfast. Pereira is 24 miles from EcoLodge Kasaguadua. The nearest airport is El Edén International Airport, 20 miles from the property. This property also has one of the top-rated locations in Salento! Guests are happier about it compared to other properties in the area. 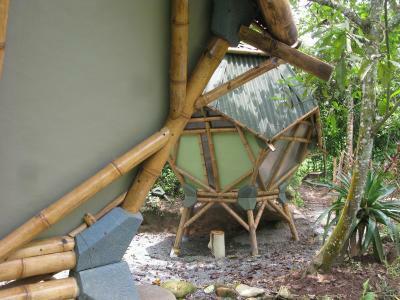 When would you like to stay at EcoLodge Kasaguadua? Private parking is available at a location nearby (reservation is needed) and costs COP 10000 per day. 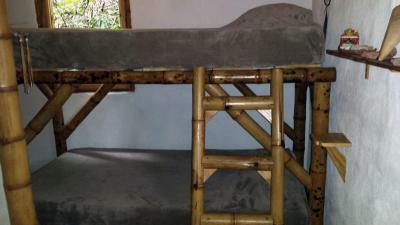 House Rules EcoLodge Kasaguadua takes special requests – add in the next step! EcoLodge Kasaguadua accepts these cards and reserves the right to temporarily hold an amount prior to arrival. Please note that the property is located within the jungle and guests may have to walk through unpaved paths. Please note that the property may ask guests to sign a house rule agreement to ensure the rain forest conservancy. Please inform EcoLodge Kasaguadua of your expected arrival time in advance. You can use the Special Requests box when booking, or contact the property directly using the contact details in your confirmation. Carlos was an amazing host, they have all the modern day technology whilst still in the middle of the jungle. We had a great time! This is out of the control of the lodge, but it was very rainy during our visit and the dirt pathways were very muddy and slippery. Not a deterrent, but be aware if you book that you should be prepared. Amazing location near coffee plantations in Salento. 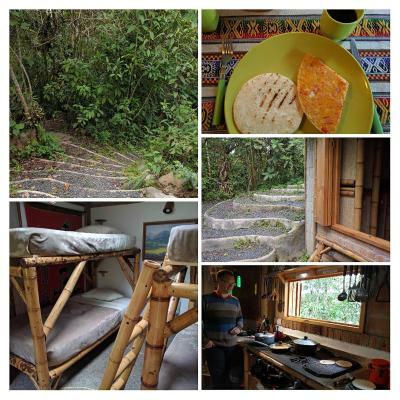 The ecolodge is a 20-30 minute walk down a narrow path along great views of the jungle. Accommodations are comfortable and breakfast is good. The hosts send lots of useful information ahead of time, so be sure to read that and know what to expect. The breakfast because I didn't like arepa. And there was no choice. We didn't know before we rented about the difficult access to the lodge before booking. 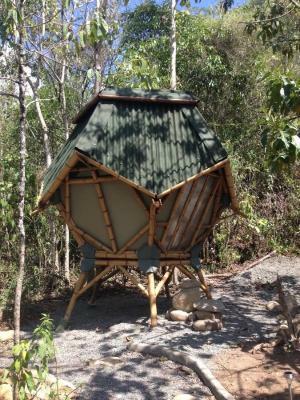 The location and lodge itself are great, but the love, passion and attention for detail that Carlos put in his project makes it a truly special experience. If you want to explore more of Salento, we would recommend staying in town as it is a bit of an effort to go there. We split our stay and spent three nights in the city and two entirely in Kasaguadua and its surroundings. One, maybe very personal, thing: Carlos was a very attentive host, who explained all the rules of the property carefully. Before he went to bed he always asked, if we needed anything more. However, we would have loved to get more information about Kasaguadua besides the tour and have a nice talk now and then. We did feel more welcome in other places in Colombia. Kasaguadua is a great place in the middle of mother nature. It's thoughtfully and beautifully designed and offers all the comfort you might need: hot water in the mornings, okay wifi, and very comfortable pods. We enjoyed spending our time in the hammocks and on the paths of the grounds. 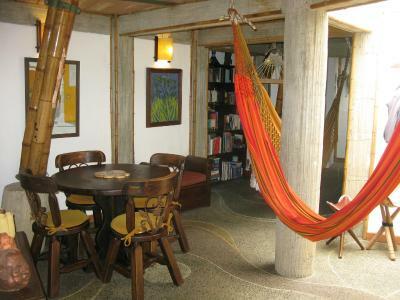 The owner put a lot of effort in the design and sustainability of the place, which makes it an overall nice experience. Location is a bit out of town although easy and cheap to get to on one of the coffee jeeps so don't let this put you off! Be prepared, the lodge is located down a valley, easy for your arrival, a 25min walk downhill but it's a 25min walk uphill to head out for day trips and when it comes time to leave with your luggage. Don't let this put you off if you are fit and active, you just need to know before booking! It's a small property, max 7 persons at once so I wouldn't recommend if you are looking to socialise with a large group. Beautiful property, quiet, relaxing and very well priced! 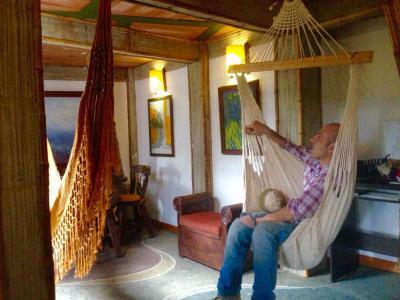 This feels like a luxury lodge, Carlos has and still is, putting his heart and soul into creating a stunning, very well built eco lodge. We would love to come back once his project is completed. 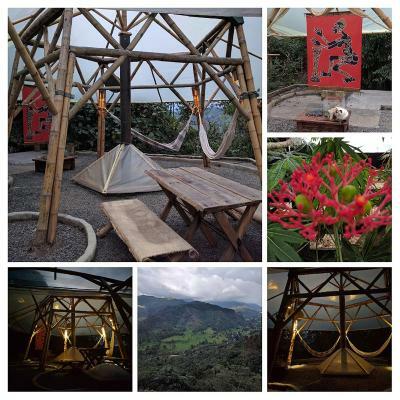 The property is located close to the coffee farms which was great for an afternoon activity while staying. 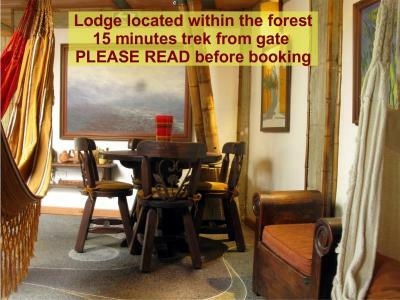 I recommend booking this property if you have time to enjoy the experience of the lodge and time to hike the property. Carlos does a interesting tour at 10am well worth doing while staying. 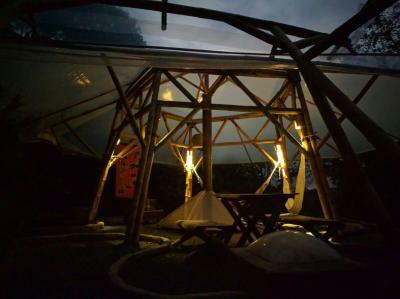 We stayed in an eco-pod which was very different, and a cool experience. Lots of blankets supplied so we were very warm overnight. 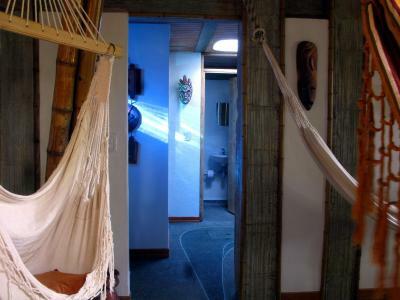 There's a great chill out area inside and out with hammocks and chairs. Hot showers and bathroom facilities were excellent. There's a TV and plenty of DVD's if you want to get cosy after night falls. Carlos was very helpful and provided all required information ahead of our arrival. Kitchen was always spotless and clean, take food to cook in the evenings as the location is too far to go out for dinner in the dark. 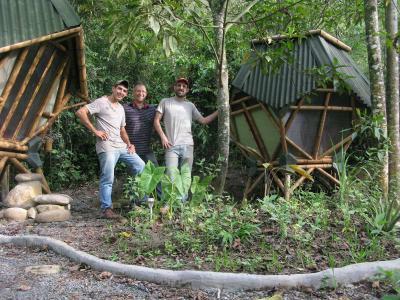 We had a very relaxing time in Kasaguadua, Carlos and William are really nice and their project is really interested! 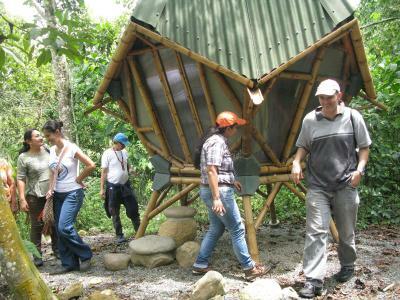 We learnt a lot about environment during the tour with Carlos, a passionate guy. 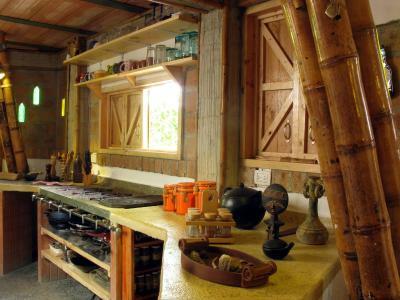 The stay at this lodge is a unique experience, in the middle of the jungle, perfect to disconnect and enjoy nature. Carlos is a great host, very attentive and will go the extra mile to make your stay a better. Fabolous place away from noises and crowds a place where You can relax and enjoy Your contact with nature and all nature sounds . As it is in the Jungle it is specific place not for everyone but if You like nature You will love it. 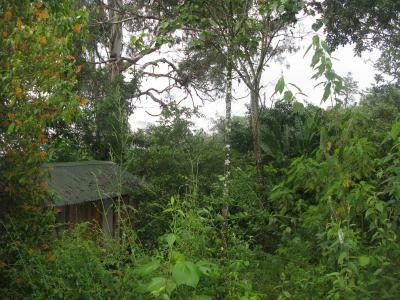 Although it is a Jungle it is very comfy, warm shower, towels, kitchen very good wi to. The host very helpfull. Thank You! Where do I begin?! Carlos is an absolute wonderful host who made us feel incredibly welcome. He is insightful, numerous and caring. His property is beautiful and we had such a great night sleep each night. I highly recommend anyone looking for a true alternative experience to stay here! Unfortunately we had problems with the staff and had to cancel our stay because of a rather ugly dispute. In retrospect, it turned out that a personal problem had been projected on us, but by this time we were already on our way home. We were stunned by the place and its ubacation. It's really pretty and so quiet, just perfect to relax and to enjoy the nature. 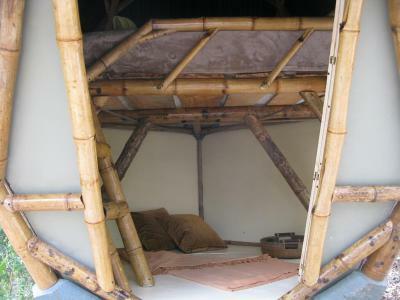 The bed in our eco-pod could have been a bit bigger or at least have a larger top sheet. It felt like were fighting over the covers. Our breakfast was a little greasy. This is a beautiful nature reserve a short distance outside of Salento. Carlos is very knowledgable about the jungle and the biology connected to this unique environment. 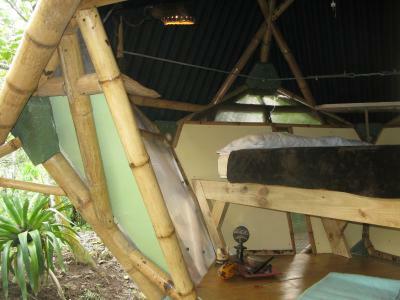 The property is fun and we were able to stay in an eco-pod and wake up to the sound of birds. The staff (Willian) was very welcoming and helpful. The main lodge is very cozy and well maintained. The facilities are modern yet sustainable.